CBD for workouts is quickly becoming the new fitness trend. Cannabidiol has already become a very popular supplement for various issues. Many athletes treat pain with CBD before and after their workout as CBD for inflammation has proven to be very effective. Fitness enthusiasts and bodybuilders are discovering CBD’s all natural support and recovery properties. And you will too, once you discover the lack of disadvantages outlined in this article. According to the fitness community, inflammation is the number one issue with regular workouts. Growing muscle and getting fit are not easy tasks. If you feel your muscles after a workout or the next day, fellow fitness enthusiasts will often tell: “That’s normal. That’s your muscles growing”. Many of us even embrace the feeling of muscle soreness. Indeed, when growing muscle you can’t avoid getting some inflammation. But it’s a fine line, a delicate balance between exercising enough to grow muscle and pushing it too hard and risk developing chronic inflammation. “You need enough inflammation to trigger a physiological response that makes your body fitter and stronger and helps it recover after a workout, but not so much inflammation that it slows the body’s natural repair process.” – Dr. Shawn Talbott, PhD, a fellow of the American College of Sports Medicine and author of the book: “Natural Solutions for Pain-Free Living”. Physical irritations in sports are normal these days and there are many sports where bruises are as common as working up a sweat. In contact sports like boxing, karate, and mixed martial arts, the participant is punched and kicked on a regular basis, even during workout and training sessions. But there are other less obvious sports in which you probably cannot avoid bruises, such as soccer, American football, ice hockey, and even skateboarding. In recent years, scientists discovered that physical exercise weakens the intestines. During exercise your body redistributes the blood in your body, bringing more blood to the strained areas. 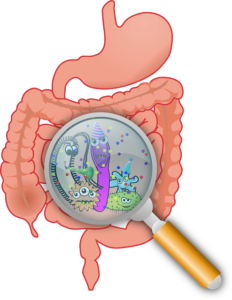 As a result, the intestines suffer from a lack of blood flow. Due to this lack of blood flow to the GI tract during exercise, the lining is weakened. This eventually causes leaking, which in turn causes inflammation. A body with a good healthy balance should be able to cope with this in most situations, however, when you introduce gut-damaging NSAIDS, this can become a serious issue. The Muscle MX Activate and Recovery CBD Balms are specially designed for athletes and fitness enthusiasts. The full-spectrum cannabinoid and terpene profiles provide specific support and relief for competitive sports and maximum performance. The Activate CBD Balm heats up your muscles before exercise while the Recovery CBD Balm cools achy muscles and provides relief after overexertion. Non-steroidal aids (NSAIDS) are the most commonly used ‘big pharma’ meds amongst fitness enthusiasts and athletes. They help the sportsperson cope with bruises and inflammation from overtraining. However, professional sportsmen frequently use opioids as well, risking addiction. In the fitness community, people mostly use NSAIDS to reduce physical discomfort. Most of us are familiar with the dangers of ‘big pharma’ anti-inflammatory medication, yet we often overlook them. In the fitness and bodybuilding communities, we tend to ignore them completely. 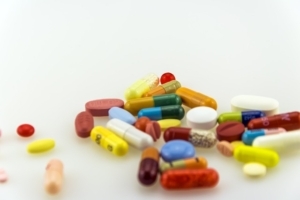 The use of NSAIDS can be quite deceptive for many athletes. They mitigate pain very well and this effect is the only thing we really can notice in the short term. The long-term effects only become evident when it is already too late. Several studies have shown that NSAIDS can even reduce post-workout recovery. In 2017 the World Anti Doping Agency lifted the ban on CBD. David Wells a 21-year baseball veteran suffered from many sports traumas and was on regular pain and anti-inflammatory medication. He was essentially on the meds for 16 years straight, until he discovered CBD three years ago. “Cannabidiol pretty much changed his life forever”, according to David Katz from THEPOSTGAME, who interviewed Wells. Just like David Wells had never heard about CBD until after his professional sports career you might also wonder what cannabidiol is. That’s normal. People often don’t even know what the difference between hemp and Cannabis is. There are tons of people using hemp oil for sleep because it is a harmless and healthy way to sleep better and longer. In relation to fitness and bodybuilding, it improves your motivation to workout, by mitigating any depressive feelings. It boosts your energy so you can go harder during your training sessions. “You can accomplish so much more during a training session with CBD”, according to fitness professionals. 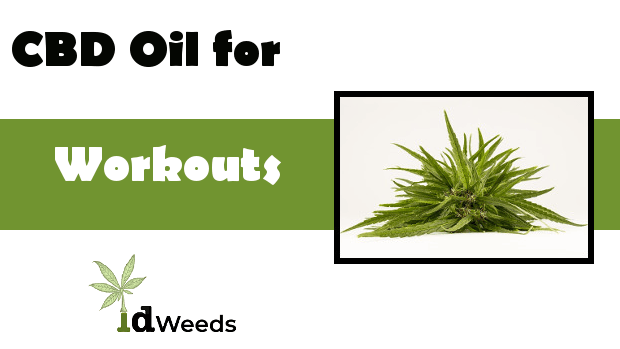 Thanks to cannabidiol you are motivated to workout and you have lots of energy. You can go in full force to build some muscle. In situations where the body is put under stress, blood sugar levels also drop, catabolic hormones like the stress hormone cortisol, get into action to try and restore the blood-sugar level by breaking down muscle tissue. This is the unwanted workout side effect that every fitness or bodybuilding person wants to avoid. CBD regulates and balances blood-sugar levels in a natural way. This prevents muscle tissue from breaking down during a workout. Cannabidiol reduces pain and inflammation when you have pushed yourself to the limit during your training. This helps speed up your recovery. After working out heavily, often people feel tired and drained of all energy. Not anymore with CBD, as it creates a homeostasis or health-balance so that your energy level is balanced out too. As a natural relaxant, cannabidiol provides you with body relaxation and improves your sleep. Both of these effects are quite welcome as they make it easier for your body to build muscle and also improve your physical condition. By now you are probably wondering how CBD makes you feel. You can read more about it in our article. Most sporters that take CBD for workouts use CBD oil and put the drops under their tongue (sublingual). However, soft-gel capsules or CBD-pills are becoming increasingly popular. When you take soft-gels, you feel the effects of the CBD later, because it needs to go through the longer route of your GI tract. On the other hand, when you take a CBD soft-gel capsule or pill, you don’t notice the distinct hemp taste. Some people do not like this taste, but most people don’t really mind. Another way is to just take a CBD gummy bear before exercising and you’re good to go. Vaping is another option, which gives you the most instant effect. However, it doesn’t last very long and the absorption rate is not all that great. We wrote this article based on facts and scientific medical studies. Here you can find carefully selected documents and studies used as references for this article. The general maintenance dosage, that works for most people is 25 mg per day. This is just enough for healthy people to maintain their healthy balance. However, when you are working out heavily it will probably not be enough. To make sure your muscles do not break down during active training and to naturally recover quicker from a workout, you need to take at least 100mg per day. People from fitness communities that have started using cannabidiol told us they take a 50 mg dosage twice a day, in the morning and in the evening. This helps you with recovering from the previous workout session and it also boosts your motivation and energy for the next one. 2010 – Over 20,000 Studies On Marijuana; What Is It That Scientists ‘Do Not Yet Know?